Polyporus tuberaster is a small to medium sized (60-100mm at max), soft fleshed Polypore that can be found fruiting directly on soil or on wood. As the epithet describes, this fungus has a sclerotia (tuber in the name) attached which is buried in the soil among roots and stones, this can weigh up to 15kg, but is usually far less. If the fungus is found on wood it is still attached to this sclerotia via the wood. 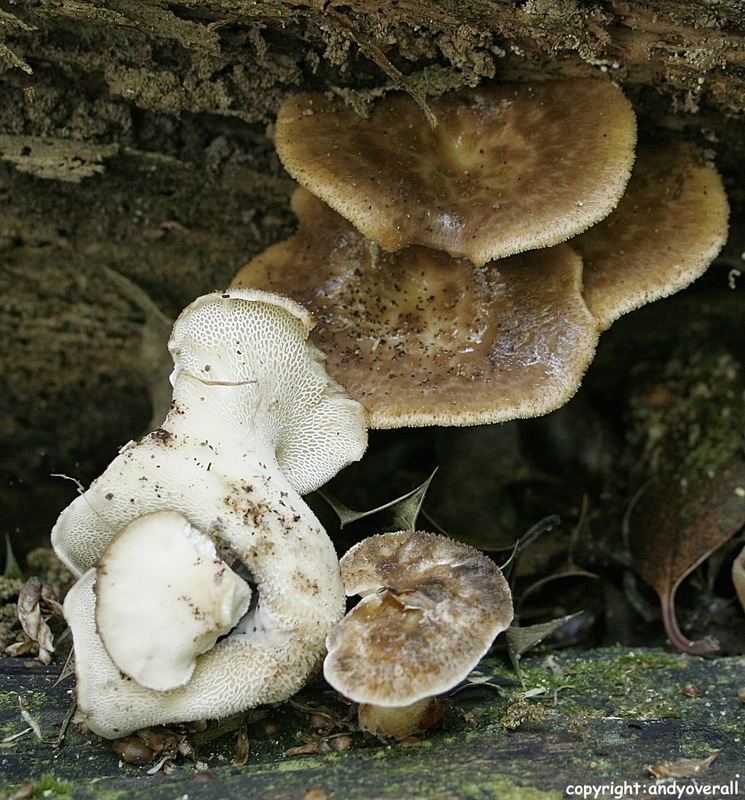 P. tuberaster is most easily confused with Polyporus squamosus, an almost identical, bigger relative (up to 200-300mm), which is without the sclerotia, is far more common and fruits on a wider range of broadleaved deciduous trees, living or dead. Both cause a white rot.